The Lion King, follows the story of a lion cub named Simba. 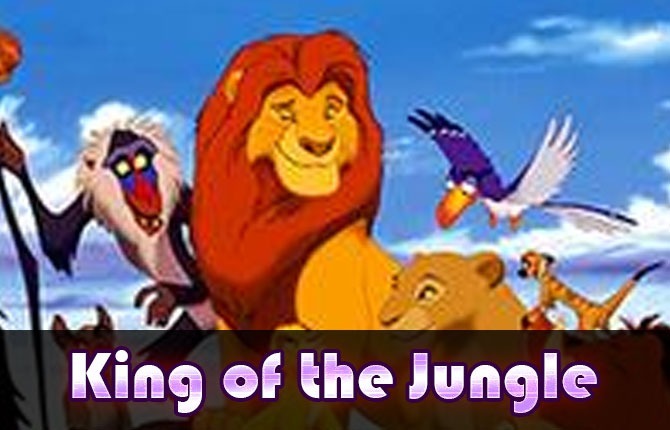 When Simba’s jealous uncle Scar kills Simba’s father Mufasa, Simba becomes the rightful heir to the throne; however, Scar wants to become the king, so he tries to kill his young nephew, forcing Simba too flee for his life. Simba soon makes some new friends, and grows up with them. When he gets older, Simba goes back to his home to challenge his uncle and take back his kingdom. 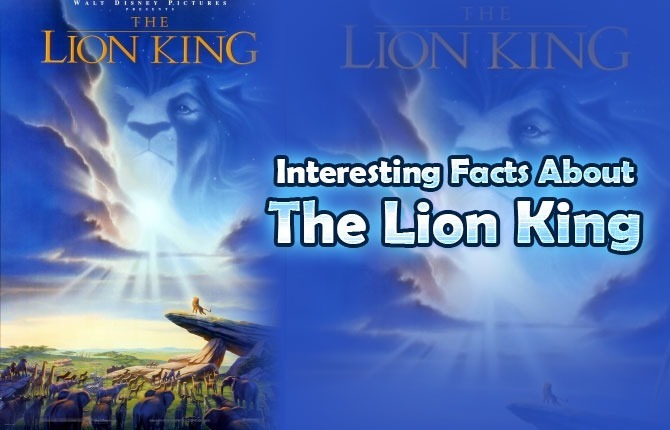 The Lion King was the first Disney animated film to feature a completely original storyline—that is, one that was not an adaptation of a pre-existing story. The Lion King was actually made by a “B-Team” of Disney animators since the “A-Team” had elected to focus on the picture they thought would be more successful— Pocahontas. One small yellow beetle that Timon finds under a log has Mickey ears on its back.One small yellow beetle that Timon finds under a log has Mickey ears on its back. According to a 1995 article in Entertainment Weekly, Disney made more than $1 billion on Lion King merchandise in 1994. Rafiki is actually something of a cross between a mandrill and a baboon as true mandrills do not have tails. The wildebeest stampede took three years to create. Nathan Lane (Timon) and Ernie Sabella (Pumbaa) auditioned to be hyenas.